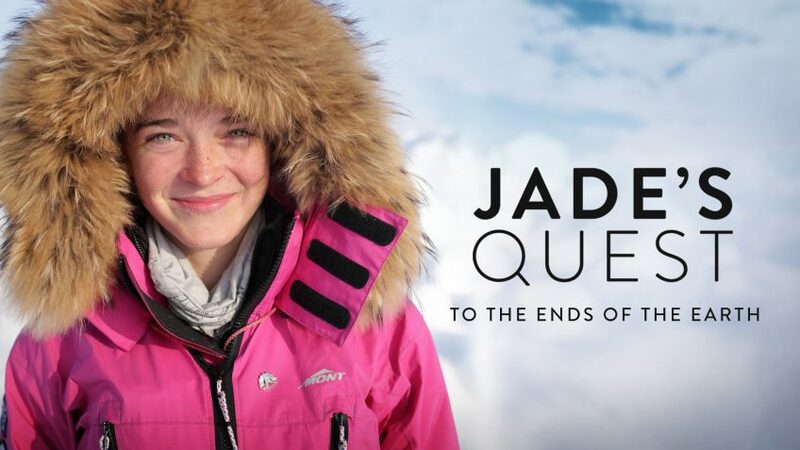 On October 14, National Geographic will air WTFN’s Jade’s Quest: To The Ends Of The Earth. The 90-minute documentary follows the three year journey of Melbourne teenager Jade Hameister to become the youngest person, male or female, to complete ‘the polar hat-trick’: trekking across Greenland and to the North and South Poles. Jade will push herself beyond perceived limits as the team faces dangers like perilously thin ice and polar bears as they battle over the frozen Arctic Ocean’s ephemeral North Pole wilderness. She spends a month hauling a heavy sled coast to coast across Greenland’s unforgiving plateau before heading to the other end of the world where she risks her life skiing 600 kilometres from the rugged Antarctic coast, through the Transantarctic Mountains to the South Pole. Negotiating hidden crevasses, running the gauntlet of frostbite and hypothermia and suffering to the point where she often ends the day in tears, Jade must survive the windiest continent on earth while she pioneers a new route to the South Pole. Why does she expose herself to almost unbearable emotional, mental and physical hardship? Jade has a dream her achievements will inspire teenage girls everywhere to break free of society’s suffocating expectations and follow their own dreams. Jade created a sensation off the ice by standing up to trolls, which led to media appearances around the globe and a meeting with the Pope.